The BTM-118 FM Radio Bluetooth Headset definitely goes one up on all other generic Bluetooth headsets as it does way more than just handle all your conversations so that you can make available both hands to attend to other matters at the immediate moment. It comes with an integrated FM radio, allowing you to tune in to your favorite FM station whenever you’re bored at the office and having run out of MP3s to listen to. In addition to auto-search, the BTM-118 can also store up to eight different stations for future convenience. 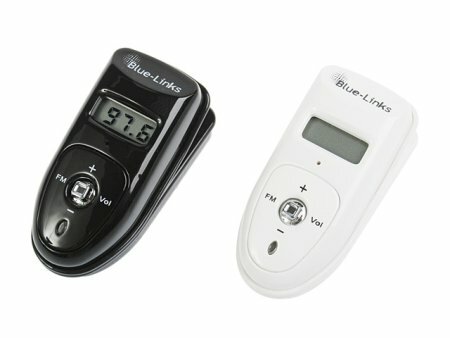 Available in black or white colors, the BTM-118 FM Radio Bluetooth Headset retails for $53.